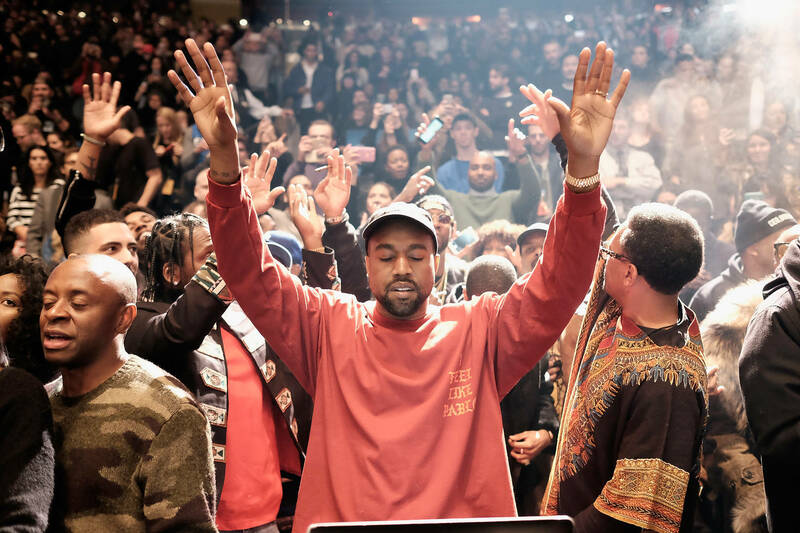 Kanye West's Sunday Services have become somewhat of a weekly staple, bringing together a vast collection of those seeking a) spiritual enlightenment, and b) a rambunctious, grand old time. Following last week's DMX-led sermon, this week's edition Sunday Service ultimately proved too live for the neighbors, who decided to summon the long arm of the law to interfere. A report indicates that Yeezy was in a great mood prior to the LAPD's arrival. Unfortunately, as is the case with any party from the upscale to the standard house-held bash, police presence prompted many of the celebrity guests to bail. As it's written, the gospel choir and accompanying band were the sources of the noise, which likely rang loud and true in the still Los Angeles air. Prior to the ultimate buzzkill, Kanye's service was joined by Orlando Bloom, Katy Perry, Tyler, The Creator, Kendall Jenner, Khloe Kardashian, Kourtney Kardashian, Courtney Love, as well as Kim Kardashian and the kids. It's difficult to say what this means for the future of Sunday Service, which has been ongoing since early January. Perhaps Kanye oughta invite the neighbors, and make converts outta them for the good of the cause.